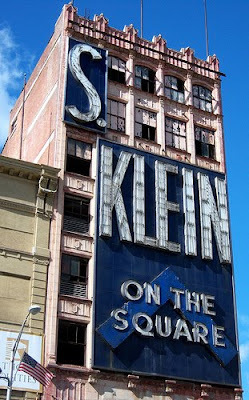 Disclaimer: This read might seem like Newark is turning into what it used to be (errr?) but, it's not. The Recession has taken it's tole on us, and we're still fighting the good fight. Newark is still on the rise and aside from the homeless population growing, the Downtown Area is still growing and still safer than ever. So I'm sitting here. Sitting in this freezer we call New Jersey. The phrase "feel like a piece of meat" never seemed so close to reality as it does now. Global Warming has had it's way with us all thus far in this 2010 winter. I mean, 60 degrees one week and let's say...10 degrees the next isn't exactly normal in my book. My book by the way - is gonna be awesome. Complete with "nothing but everything". Back to New Jersey's version of "a meatlocker's winter". I left for a couple shows in the (more) North East and we have it good in comparison. First Stop was Rochester, NY. WOW, Talk about COLD. After driving through what seemed to be about 4 different blizzards, we finally made it to this urban block of ice. Great city though. Complete with great hospitality. When you think of NY, you always get the NYC assumption of how it's going to be. Turns out, the rest of the state isn't as snobby, and filled with 20 somethings living off their parent's trust fund. BONUS: The people who live there actually know how to get you proper directions. There's nothing like being lost in Manhattan and having a 6ft tall 90 pound woman TRYING to point you towards 5th avenue when you're on 6th. That's Manhattan though. overpriced closet space for boarding, and bad sense of direction from people who lived there 5 months and consider themselves New Yorkers. I'm probably more of a New Yorker than 90% of "Money Making". Oh Yeah...New Jersey. Newark is starting to go back to it's old ways. It's saddening me. The Homeless population is growing, and every time I walk past that billion dollar glass house we call "The Rock" I can't believe how much the rest of Downtown looks like a bomb hit it. People talk about Detroit, and how bad that looks. But riding the bus with a good friend the other day I couldn't help but notice the 10, 20, and 30 story buildings with boarded up windows and vacant store front space. I've lived here my whole life, and can't believe how "normal" this all looked to me until it was pointed out by an outsider. I'm proud of where I'm from, but I'm trying to step up and make a difference. I want to march into Corey Booker's office and ask questions that he CAN'T Answer. The Bookman is probably the best solution to what's to come. He has made an impact on my town, but I guess we're going through what every part of life goes through when growing... "THAT AWKWARD STAGE". I went through it. When I was going through puberty I was 5 pounds lighter than I am now, and had a face only a mom could love. I mean, I'm no Jorge Clooney now, but you get where I'm going. 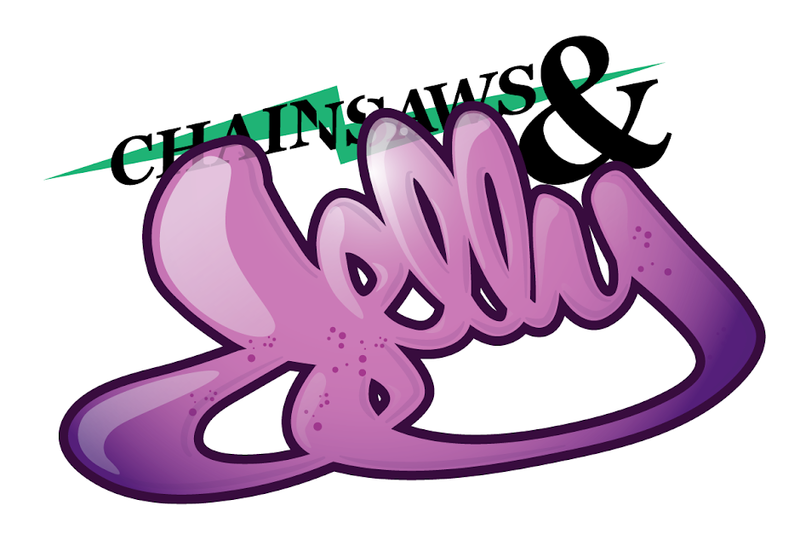 Chainsaws and Jelly has been a good part of the rebuilding of Newark. Sponsoring events geared towards helping the less fortunate. So, I can't wait until the next opportunity to help out this city I love so much. *High Fives to all the reader's.